Turns out Glenn and Daryl save people in real life too ... just not from zombies. 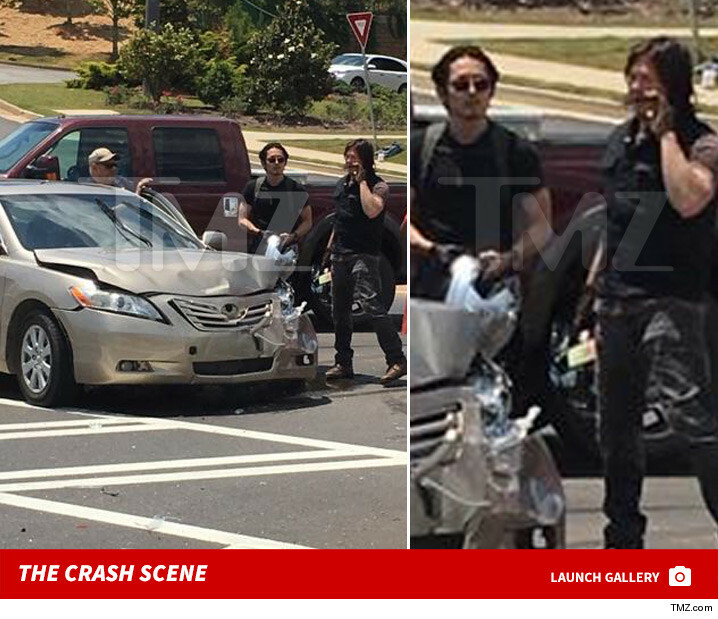 "The Walking Dead" ﻿stars Norman Reedus and Steve Yeun were cruising on motorcycles Thursday in Peachtree City, GA when they came upon a car crash near the set ... and they jumped into action. We're told injuries were fairly minor, but the duo hung around until paramedics arrived. 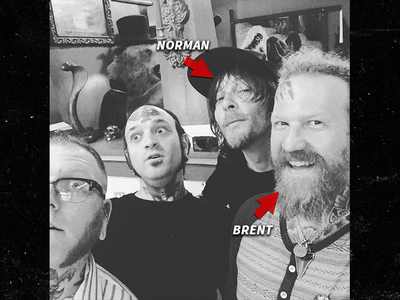 This COULD be a huge clue for 'TWD' fans -- last season ended with a mystery death ... the fact the two were together near set indicates their characters are ALIVE!! !